The value of American spirits exports increased by 10.6% in the first half of 2017 – up more than US$67 million to a total of $698.5m – according to the Distilled Sprits Council, with growth driven by the American whiskey category. Overall, the American whiskey category, which includes Bourbon, Tennessee Whiskey and American Rye, increased in value by nearly $27 million to $464.6 million – a rise of 6.1%. Smaller categories of other American spirits also showed strong growth, including brandy – up 39.4% ($12.2 million to $43.45 million total); vodka – up 51.2% ($11.4 million to $33.6 million total); and rum – up 49.5% ($5.2 million to $18.55 million total). 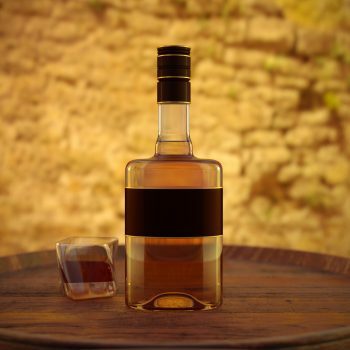 “This clearly demonstrates the growing appeal of US-made spirits, particularly American whiskeys, in many foreign markets,” said Christine LoCascio, council senior vice president for international trade. Canada remains the single largest market for US spirits exports, which were valued at $87.6 million between January and June 2017. Other markets to achieve significant growth include the UK, where the value of American spirits imported into the country increased by 39% to $64.8 million. Germany followed, achieving an increase of 33% to $55.4 million; France by 21.4% to $51.8 million. However it was Brazil that achieved the biggest growth, with the value of imports of American spirits into the country increasing by a huge 313.8%, albeit from a small base. The market is now worth $10.2 million to American distillers. Other strong markets for US-made spirits in the first half of the year include Italy, Poland, Latvia and Chile.